Some of the most brutal and long-lasting civil wars of our time involve the rapid formation and disintegration of alliances among warring groups, as well as fractionalization within them. It would be natural to suppose that warring groups form alliances based on shared identity considerations - such as Christian groups allying with Christian groups - but this is not what we see. Two groups that identify themselves as bitter foes one day, on the basis of some identity narrative, might be allies the next day and vice versa. Nor is any group, however homogeneous, safe from internal fractionalization. 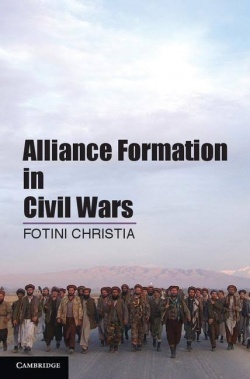 Rather, looking closely at the civil wars in Afghanistan and Bosnia and testing against the broader universe of fifty-three cases of multiparty civil wars, Fotini Christia finds that the relative power distribution between and within various warring groups is the primary driving force behind alliance formation, alliance changes, group splits and internal group takeovers.